Indianapolis, IN (September 2017) – IUPUI’s Upward Bound college readiness program for high school students has received a $2.8 million grant from the U.S. Department of Education that will ensure program sustainability for the next five years. The funding will directly and positively impact student participants who attend Arlington High School, Arsenal Technical High School, Northwest High School, Broad Ripple High School, Emmerich Manual High School, and Warren Central High School, which are served by the IUPUI Upward Bound program. Currently, IUPUI’s Upward Bound program has 127 active student participants. 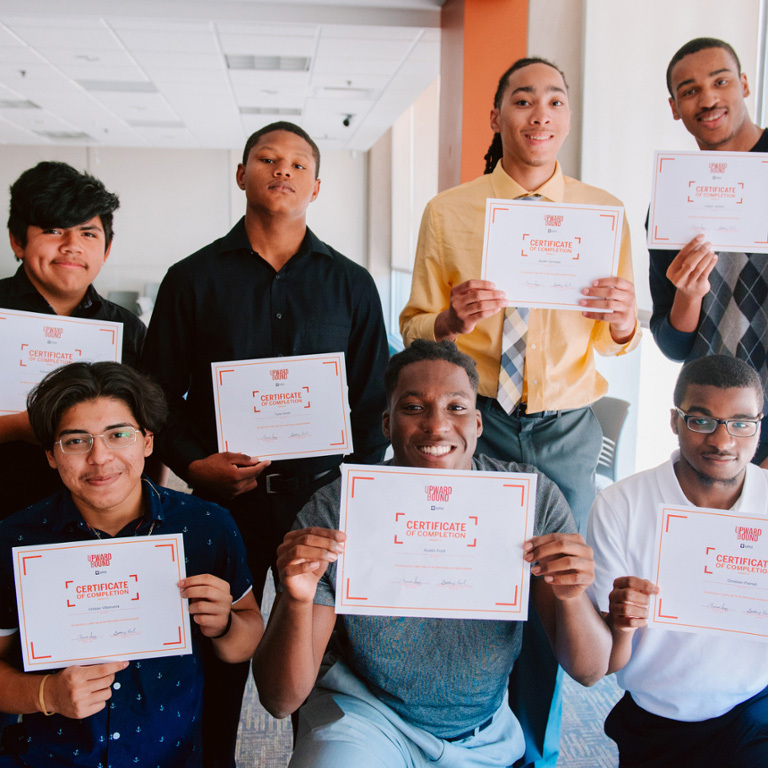 Upward Bound focuses on providing low-income and first-generation college-bound high school participants with supportive and integrative experiences that increase not only their academic knowledge but also their understanding of and engagement in the whole college experience. The program offers educational opportunities such as tutoring, college visits, Saturday classes, and mentoring, as well as college credit classes and internships through its Summer Academy. In addition, Upward Bound provides its students with cultural and social experiences and travel opportunities, which have included trips to Washington, DC; Memphis; New York City; Atlanta; and Puerto Rico. As for the future of the program, Roxanne Gregg, program director of Upward Bound, hopes to continue to expose students to a “wealth of experiences,” perhaps someday offering global opportunities to supplement the program's existing cultural exposures. For now, she explains that Upward Bound is “extremely blessed” to have received this federal grant to continue improving upon and providing enriching opportunities to its participants. At Upward Bound, we aim to sparkle and dazzle—one [student] at a time. In 1964, President Lyndon B. Johnson created a three-pronged federal plan of supplemental, academic support programs to young American students called TRIO under the banner of the Educational Opportunity Association. At the time, TRIO’s three components consisted of Talent Search, Student Support Services, and Upward Bound; today it offers an expanded program menu.